In the early nineteenth century, Ernst Chladni added another dimension to wave experiments by sprinkling sand on a thin plate and using a violin bow to induce vibrations. The sand collected along the nodal lines of the wave patterns painted clear and beautiful pictures of the various modes of vibration. The Chladni Plates Kit and Mechanical Wave Driver (SF-9324) allow continuous vibrations to be produced at measurable frequencies. Students can determine the resonant frequencies of the plates and examine the modes of vibration at any frequency. 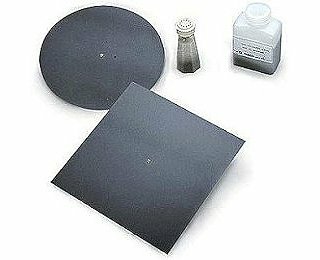 The Chladni Plates Kit includes a 24 cm x 24 cm square plate, round plate, 0.8 kg of extra-fine sand and a sand shaker. The round plate can be vibrated about its center or an offset point to investigate both symmetric and asymmetric modes of vibration.